Every year, insurance companies spend nearly $6 billion to battle it out on the television, radio and every conceivable social media platform. Advertising budgets among the nation’s auto carriers are particularly sizeable and have helped push the insurance industry to the top of the 10 biggest US industries when it comes to growth in ad spending. Perhaps the best evidence of that advancement is GEICO’s “Push It” ad, which aired during this year’s Super Bowl and broke records for its costliness. According to a Palm Beach Post report, those 30 seconds cost GEICO a whopping $4.5 million – or $150,000 per second. In general, insurance companies spend so much, they outstrip every other American industry by nearly 8%. Carriers say keeping their brand fresh in the minds of American consumers is worth the cost, but critics are beginning to voice disapproval. According to J. Robert Hunter of the Consumer Federation of America, the massive ad budgets of auto insurers are a big part of the reason GEICO and Allstate have had to raise rates this year. It’s hard to argue that advertisements don’t take up a significant portion of a carrier’s revenue. According to 2013 SNL Financial report, GEICO spends about $6 of every $100 it collects in premiums on advertising, totaling $1.2 billion annually. Allstate increased its budget last year by 5.7% to reach $900 million, and State Farm pushed its spending up 5.1% to $800 million. 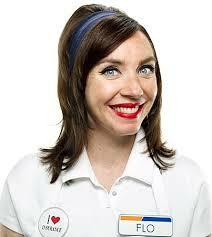 Progressive – now spending more than $600 million a year on the popular “Flo” character – increased its ad spending by 8.6%. If those rates of increase continue, Hunter argues that even if ad budgets are not currently impacting consumers, they will be soon. Industry representatives, however, beg to differ. Robert Hartwig, president of the property/casualty trade group Insurance Information Institute, told the Post that advertising only represents a “tiny slice” of a company’s budget and that accident claims and severe weather are more directly responsible for GEICO and Allstate’s decisions to raise premiums. “Bob Hunter’s model is that insurance should be offered by a single federal insurer prohibited from spending anything on advertising,” said Hartwig.